Readings by Kelley is the verified author of this psychic interview. Describe how you first realized that you had psychic abilities. I like to say that my first love was astrology. I was attracted to it at a very early age, even before I started to study Witchcraft. It was when I was 12 that things really started to get intense for me with psychic abilities, because that is when I began to study Wicca, to start (I no longer follow the religion, nor any one religion). It started out with vivid, even prophetic dreams. It freaked me out a bit, but that was when I knew something was there. So it was only natural that I progress with it, study, and develop that part of myself. Why is being a psychic so important to you? Being psychic is a part of me. It helps me day-to-day, whether it’s making a decision or just simply helping others with what I can do. It’s important to me because I know I have that power to change circumstances, whether they are my own or they are others’. I am conscious that every move we make, big or small, has an effect on us for the better or worse. Describe your journey into the psychic world. As I stated, I knew I had something when I began having vivid and prophetic dreams at age 12. My journey wasn’t really an easy one. I had to be on my own for the entire time. I still am, and kind of prefer it that way. I began to really develop my psychic talents through my occult studies. In the beginning, my divination tools were very limited because my family was not very open to me being what I was just yet – I didn’t get my first Tarot deck until I was about 14 years old, and it was around this time I began to collect as many books on the occult I could get my hands on. I was checking my horoscope, using my mother’s dream dictionary, and using other means to make sense of happenings around me. This is going to sound funny, but I strongly believe keeping a diary when I was young helped me work out a lot of feelings I had so that my intuition could strengthen. Anyone's (with psychic talents) journey into the world of psychism is a highly personal one, and it is a lifelong journey. I possess clairvoyance, precognition, retrocognition, and empathy. My clairvoyance and precognition go hand-in-hand. Clairvoyance is “clear seeing” beyond normal means, and precognition is the ability to feel a future event coming on. In a reading, if I feel something coming up and it is not in the client’s favor, I will tell them how to alter the outcome so that they are satisfied. Retrocognition is the opposite, the ability to perceive past events. It helps me delve into any past events relating to the point in time in which I am doing a reading; to fully be in the present and change your future, you need to know the past. I also use this skill to perceive someone’s past lives, usually their last earthly incarnation (before their current life). I also possess empathy, and it isn’t the psychological kind. It is the psychic kind, where you take on other’s emotions, or even physical sensations, as your own without them saying a word or expressing it openly. It is also a very difficult thing to live with. I often have to “shut down” my empathy to function day-to-day, which is one obstacle I openly admit to having. With this, I pair clairsentience – this actually a wide spectrum of psychic abilities that include “clear feeling”, either by the touch or just sensing something there. Mine manifests as sensing something there. I am very sensitive to energy and my environment. I actually get panicky in high-traffic places and need to be careful as to not be overwhelmed.  Please share any thoughts you have about psychic being a special ability. Of course it is special. Everyone may be born with something, but not everyone has the patience nor dedication to develop such gifts. Levels of talent also depend on people’s predisposition for it. Having an amount of psychic ability to start is like being born with musical skills or athletic prowess – that’s just there to start. You have something there to work with, but you need to put it to use, like play a sport or pick up an instrument, to get better. It’s the same with psychic ability. Also, most people are conditioned by society that it is “evil”, especially if they are religious, or that it is “fake”. Truth be told, there are some charlatans out there who will do anything for a quick buck, and only a percentage of all psychics are indeed genuine.  Being psychic is special because it is unique, and as I have said, no two psychics are alike. We are individuals, just like everyone else. How have your abilities changed over time as your own wisdom increased? My abilities have gotten stronger with time, for one. Also, they have spiked with certain events, like family deaths or personal trauma. I remember after the death of my grandmother, I felt one such spike particularly in perceiving spirit presences. I had never really been that open before save for a few occasions, so it was a bit unnerving. I know that my abilities will change over the course of my lifetime, and the same can be said about other psychics. Nothing is permanent, but you got to face it head on, learn to deal, and keep going. What are your thoughts around everybody having a certain degree of psychic power? Everyone has an intuition. I define intuition as our base instincts, the ones we’ve had since we were first evolving as a species so we could survive. It isn’t even just intuition in the psychic sense, though I am sure anyone with dedication and the predisposition for it can develop very easily. Even in this instance, everyone is different. For example, you may have two different people who consider themselves to be mediums; one can actually see things floating around in the physical plane and hear them, while the other may just perceive it in their mind’s eye or have a sense that they are there. Another example, you may have two people who consider themselves retrocognitive (one of my skills); one may strictly apply it to psychometry, while the other may be able to read past lives with it. No two psychics are alike. What are your personal spiritual views regarding the psychic realm? If I’m reading this correctly, the “psychic realm” is just a synonym for the “spirit realm”. There is something out there. I believe there are multiple universes and planes of existence that run on both high and low vibrations. The dead go someplace when their business here on Earth is finished. Where? We won’t know for sure until we get there. I do know they go to the Other Side, but they are always watching us, especially those who love us who have passed. I also think that reincarnation is a valid explanation for where souls go, and that Other Side is merely just a purgatory for people to linger until they’re ready to occupy another body. Please share your most noteworthy personal metaphysical experience. I have so many, but for the sake of the question, I will share with you one event that was particularly frightening to me. It was far from pleasant, and a story like this really reminds you that the spirit world isn’t as peaceful as many would like it to be. In this particular incident, my grandmother had died just over a month prior to this event, so I was still on that aforementioned “spike”. I was at a barbeque during the summer of 2017. It was very hot and the sun was high. I was there with my friend, and while we were waiting for a few late arrivals to finish eating before dessert was available, I was just sitting there, waiting. All of a sudden, I feel something behind me and I look down at my drink. In my mind’s eye though, I sense there is something malicious and spirit-like there, and I saw and felt a knife stab right through the middle of my chest, where my heart is, and it frightened me so much I just looked up and around at my surroundings. I was in no physical pain, just was extremely scared. No one was there except my friend and someone else in front of me, and there was certainly NO ONE behind me. My friend noticed something was off and kept asking if I was okay, but I just told her “yeah, I’m fine.” Honestly, I was scared to death, but I wasn’t going to tell her that given it was her mother’s house and I didn’t want to frighten either of them, or have them think I was crazy. I closed my eyes right then and there to visualize white light around me, and a “wound” where my heart was. I visualized it gradually sealing back up and then I opened my eyes when I felt ready. My friend asked what I was doing, but I just said to her that I had to take a few deep breaths because I was feeling anxious. The dessert wasn’t even ready to be served yet and I felt my intuition pinging me, “get out of there, get out, it’s not safe.” So I left. I went home, I got cleaned up, I burnt some sage and some cleansing incense, and I did some healing on my heart chakra. I was fine within an hour after doing this, and I am fine now even as I write the answer to this question. It just goes to show, again, that the spirit world isn’t all faeries and elves; it can be really frightening. Looking back, I went into the house to use the bathroom, and I didn’t sense anything particularly “off” at first, even though the kitchen, an old-style one, looked like the same style featured on a lot of the forensics shows I have seen with crime scene footage or photos. Creepy. When do you avoid telling people that you're psychic? I avoid telling someone I am psychic if I feel unsure about telling them to begin with. I also avoid telling someone about my abilities if I feel they cannot be trusted, or if they just won’t understand what I have to say. Sometimes I am up front about it. It all depends on the situation. 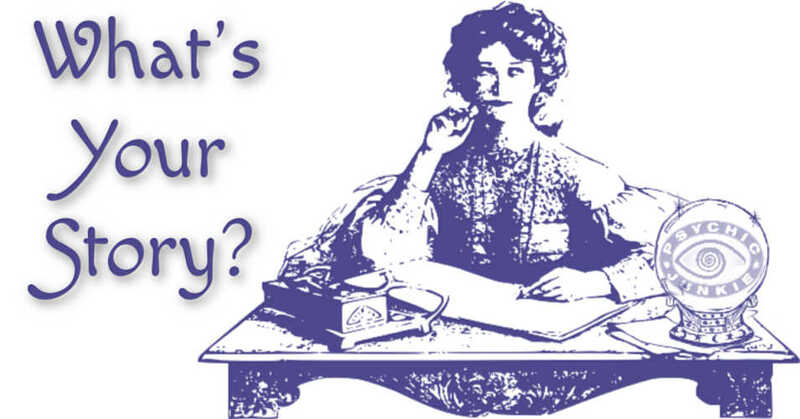 When do you like to be very open about being a psychic? I’m overall open with what I do. I have many who support me – family, friends, acquaintances, and clients alike. 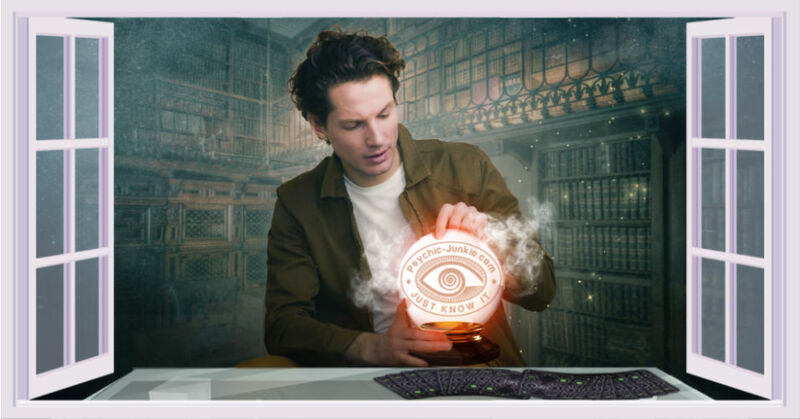 I don’t really see a need to hide that I do psychic work. Aquarius - I’m more characteristic of the other signs in my chart (mostly Earth), but if I had to describe any traits I possess that are characteristic of my Sun sign, I would have to say that I am a visionary and I am focused on the big picture. I am a visionary in that I am optimistic about my clients’ outcomes after a reading with me. In the end, I want what’s best for them moving forward, and I won’t hesitate to say what it is they have to do, be it hard or easy. In the end, it is up to them and whatever their Free Will decides to do. Life isn’t always one or the other, but a mixture of both. I have been told that I am very detailed with my readings, and I use these details to piece together the puzzle that is, in fact, the bigger picture. With my more sensitive clients, this is an approach I take because I want them to leave a session feeling at ease and that they have more control than they think they do. In my philosophy, if you have an understanding of the greater picture and know how to put that into perspective, then you are well on your way to making change in your life. What is your general approach when you read for people? I have a very honest and direct approach to all of my clients and the sessions booked with them. I know many psychics “sugar-coat” what they say, but I don’t do that. If I see something negative coming up, I’m going to come right out and say it. Same if it is something positive in favor of the client. I don’t tell you what you want to know, but rather, what you need to hear. Sometimes what you need to hear isn’t what you want to hear, and it sounds more like a kick in the pants, but it is crucial to know things so that you can better understand your situation from an objective point of view. From there, you can create the change you need most in your life. That is what I want for all my clients. I am above all very client-centered; the session is focused on them specifically, and if anything else comes through, it will show itself to me. I do my very best in making sure all people who seek my help are treated fairly and know what they are in for during a reading, because what I want for them is THE best. What can you share about your most fascinating reading to date? Due to confidentiality with all my clients, I won’t go into too much detail or mention names. One case I can recall at this moment is that of a reading I did last year. It didn’t even happen during the actual session, but while I was meditating and attuning to their energy. I was in the middle of it when I felt a pin-prick sensation in the elbow crease of my right arm. It felt almost like an intravenous needle going in, and those are painful, so obviously I noticed this. I made mention of it during the reading, telling the client, “I felt a pin prick in my arm, almost like an IV”. It turned out, oddly enough, that she was close to someone with a drug addiction. That was one particular event that happened in a session that to this day, fascinates me. This is also an example of empathy manifesting as feeling others’ physical sensations. 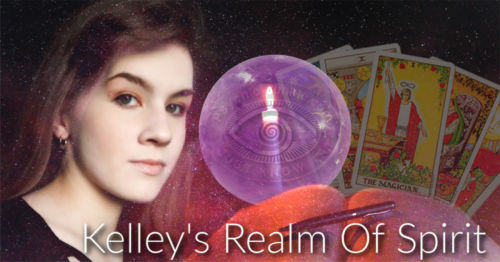 Kelley is a professional psychic reader and a practicing Witch, with extensive experience in astrology, scrying, pendulum, and dream analysis, with which she has helped people from all over the world. Her personal Craft veers toward the traditional magick of early modern Europe, particularly from Italy, France and the British Isles, as well as other forms of magick learned and applied over the years. 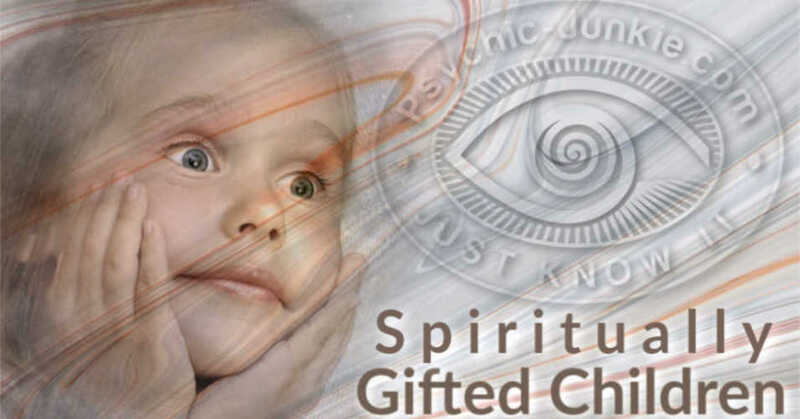 Primary psychic gifts include: precognition, retrocognition, empathy, clairsentience, and clairvoyance. All these gifts have been fostered and honed through many years as a practicing Witch.